Like many others, we at GFR expected Gareth Edwards’ Godzilla to roar into theaters in a big way, but I’m not sure any of us really thought it could amass almost $200 million worldwide in a single weekend, with over $93 million earned domestically. With that kind of money coming in, one could easily joke about Warner Bros. and Legendary Pictures already spinning the cogs on a sequel…but it’s no joking matter anymore. 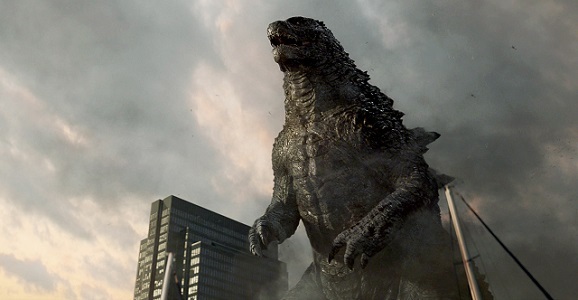 Warner and Legendary are officially getting behind Godzilla 2. That’s right, the inevitable has happened not even three days after the film’s opening. Of course, the sequel talks started even before that, with presumptions that Godzilla would be a box office bonanza. But Legendary’s Thomas Tull and Warner execs were keeping mum about a follow-up’s prospects until they saw just how successful the monstrous marketing campaign was. And $196 million later, I think it’s safe to say the promotions did what they were supposed to. I mean, I’m not going to run out and buy a Fiat, but it’s solely because I can’t afford to buy a new car. If expenses weren’t an option, however, I would be perfectly fine with driving one solely because they gave Godzilla his own badass car commercial, seen below. Considering just how similar Godzilla‘s pacing is to that of Steven Spielberg’s Jurassic Park, I wonder if we can build our assumptions for Godzilla 2 around that. Edwards has said he wants to utilize the same restraint in keeping Godzilla in the background before his large-scale emergence into the world at large. This is one of the parts I liked best about the film — you can read what fellow GFR writer Brent and I thought of the film in our discussion here — and there’s always the fear that a sequel will try to ramp up everything that made the original work. (I’m looking at you, Iron Man 2.) But if Edwards remains affixed to the helm, my worries can subside a bit. But as much as I loved Godzilla, there’s no denying that the second film will need a stronger script. Max Borenstein’s screenplay delivered a solid story, but a slew of rewrites and polishes didn’t do much good for the film, and much of humanity’s personality within the movie is lost after the first 20 minutes, once Aaron Taylor-Johnson and non-feasible plot mechanics kick in. Plus, we’re going to need a few more recognizable faces on the monster front. But that’s for a different feature. 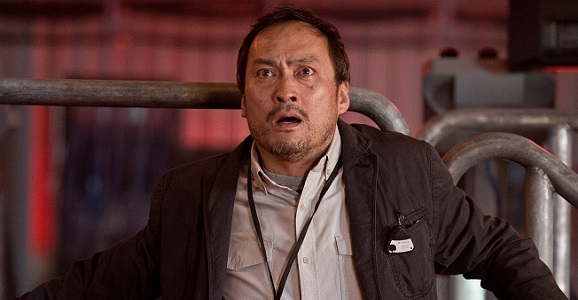 When told that there would be a Godzilla 2, this was reportedly actor Ken Watanabe’s reaction. And then this was his reaction after being told that the chicken breasts he purchased at the grocery store were actually on sale. I could do this all day. What do you guys think about another Godzilla movie hitting theaters in two years or so? Are you positively radiating with happiness, or do you wish it would all crawl back into the ocean for another decade or so? Ehhh… Make Godzilla destructive and horrible, not a “force of balance”. Or whatever they called it. There was enough of that in the 60s and 70s. Give me 1954 Gojira.